I've made a few references to my infamous fabric stash. Of course, I didn't set out to acquire so much material. It just happened. For example, two Christmases ago we visited a liquidation warehouse. Among other great treasure, they had white polar fleece. It was the right/white stuff to make Santa beards for Vaughan's class. I wasn't sure how much fabric to buy so asked for two metres, erring on the generous side. The guy measuring was even more generous and once home I found I had 3.25 metres! It was a definite $6.00 bargain - and yes, that is a lot of Santa beards! We probably made around 40 as various gifts and still had a lot of fabric left. (I did say to Nick at the time that I wasn't sure what I was going to do with it all - and he suggested I stick it in a white foam box in the storage container)! I decided to use (most of) the Santa beard remainder as a under-blanket for Erin's bottom caravan bunk. I'd previously added insulation in the under-bed storage compartment but decided to use some camping mats under the mattress also. 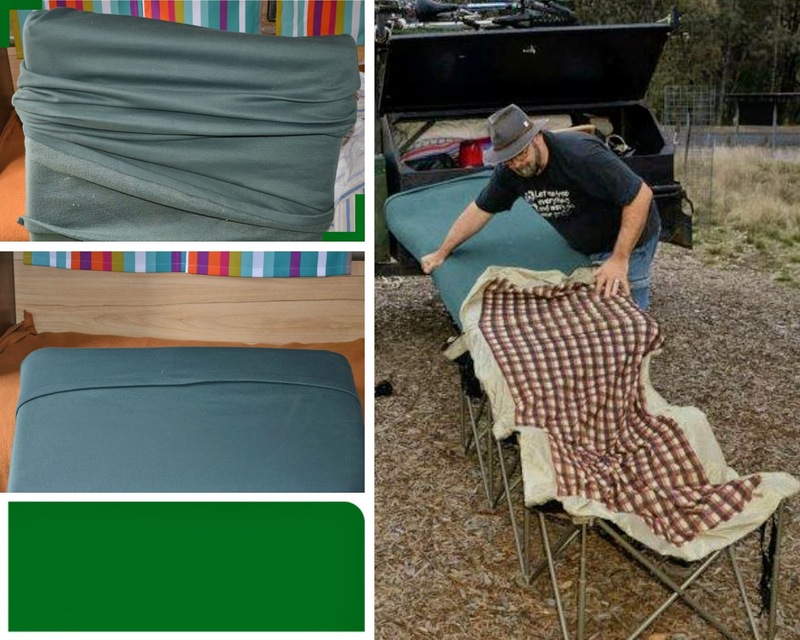 Several years back, when we were still in our original tent and using the air beds on legs, I made polar fleece covers for the single air mattresses. They cut the chill from the plastic and I've kept them, even though the beds were recently sold. Last year the covers did duty as heavy curtains at home, so I'll have to work on a better plan for our kitchen window this year! 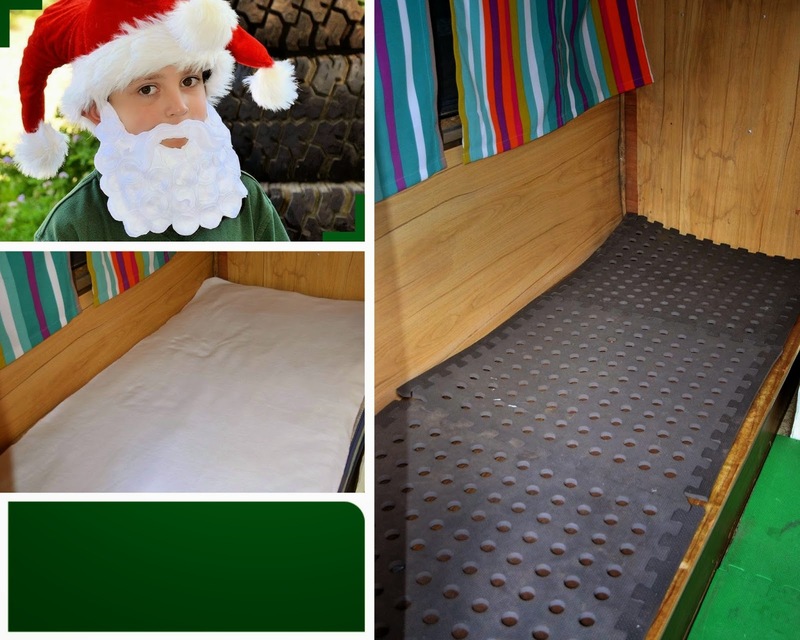 I fitted the cover over Vaughan's self-inflating 4WD mat that he is using on the top bunk in preference to an innerspring mattress. (The lower profile mat leaves more head-room). It fit well and should provide some extra warmth. Our bed was fitted with an older woollen under-blanket. Although it was purchased as a queen size it actually fits the double-bed mattress better - so will stay there throughout winter. Why all the preparation? I'm hoping for some cold-weather camping and want to be as warm as possible during the nights! You are crafty.... in a really really great way!! !